There are many sources that will provide you with lists of people who have recently bought homes in your community. Getting access to this data may cost a nominal fee, but it’s worth it if you send them “Welcome to the Neighborhood” cards that convert them into patients. Patients who know a dentist outside the confines of the office are more likely to trust him or her with their dental health needs. Sponsor community events and programs – donate to charities, buy advertising and sponsorships, and provide free branded gifts. Make yourself known. A blog is a great way to turn your site into a more useful resource for current and potential patients. Share the benefits of your expertise and deliver information your patients will find useful; a bit of relevant dental advice can win you new patients at any time. More and more patients start their hunt for a new dentist by using a search engine. Make sure your site has gone through search engine optimization (SEO) so that it will rank as highly as possible in the search results for relevant terms. This is a double attraction for many patients – and for you. Not only do patients love saving money, but they’re also more likely to keep appointments if they’re already paid for. Freebies are a time-honored way to drum up new business and get attention from potential patients. 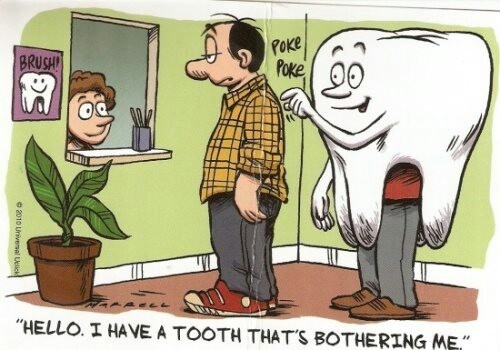 Just make sure you’re not running the same promotional offers as every other dentist in town! Research your competition and position your practice with a unique savings opportunity that will appeal to would-be patients. A social media presence is becoming a positive necessity these days. Your patients are hanging out on networks like Twitter, Facebook, Pinterest, and Instagram – put your practice in the same space so that you’re easier to find and interact with. Share content that will be engaging, useful, and appreciated by your patients. Getting an initial interaction with a potential patient is easy. What about the next one? Extend your relationship with patients by retargeting Facebook ads to reach individuals who’ve already had some contact with your practice. This form of advertising is extremely affordable and you can turn it into real revenue with persuasive landing pages. Cross-referrals are great for business in most markets. Team up with doctors and local businesses to swap referrals and perks in order to provide your patients with an extended support network. Just remember to ally yourself exclusively with professionals you’d trust – you don’t want to spoil your own reputation by associating with questionable businesses. Collect email addresses wherever you can. Put them to work by sending out a newsletter every month that provides advice, dental hygiene tips, professional news, and entertaining stories for your patients. Email newsletters do a great job of reminding patients about your practice and getting them to return when they need your help. Online reviews play an increasingly large role in most consumer decisions. Make sure your practice is represented well by the patient feedback that appears online. Ask your patients to submit honest reviews and claim your business on the larger sites (e.g. Google, Yelp) so that you can respond to reviews. Mobile searches are becoming more important than ever, especially when people are looking for local services like dentistry. Your site needs to load fast and be easy to use with phones and tablets as well as with desktop computers. Don’t miss out on potential patients because you aren’t offering up content that fits their particular device. Current patients who are happy with your services can be some of your biggest promotional assets. Reward them for their help by establishing an incentive program for patients who send friends, coworkers, or relatives your way. Just make sure you’re following ADA rules. Your patients want to know that they’re working with an expert when it comes to something as sensitive as dental health. Share the benefits of your knowledge by writing articles in both professional and public magazines and papers. As an added bonus, you can re-use the content you create on your website and promote your practice by mentioning the places you’ve been published. Even though everybody needs dental care, you can’t effectively market your practice to everyone in the world. Narrow in on an audience that you feel especially well-equipped to serve and then promote your practice using marketing tools that will be especially effective with that audience. Videos are a lot more engaging than ordinary text content when it comes to online marketing. There are many studies that show it’s actually the preferred medium for many internet users. Invest in a professionally-produced video that introduces your practice to potential customers and then use it as a cornerstone of your online marketing efforts. You don’t need to be a giant corporation to take advantage of brand recognition. Use the same logo and tagline in all your marketing efforts, whether they’re online or in traditional media. Consistent branding will raise the overall level of awareness in your community and influence both current and potential patients to trust you. Every piece of marketing material you generate should serve a specific purpose. Don’t be coy about letting your would-be patients what you’d like them to do next! Always suggest a next step in your ads and other promotional efforts. Whether it’s inviting viewers to visit your site or encouraging them to call your practice and make an appointment, make sure you’re delivering a clear call to action. Don’t dwell on the sometimes-unpleasant details of dental services in your marketing efforts; inspire patients to reach out to you by offering them brighter smiles, whiter teeth, and better dental health. Pay per click (PPC) ads deliver highly motivated traffic to your website. Develop strong landing pages that will convince visitors that you’re the dentist they want to look for and let targeted PPC ads bring in fresh business. Not every visitor to your website will become a patient. You can improve your odds significantly by paying for remarketing. This ad venue shows your ads exclusively to web surfers who have already visited your site once. Retargeted ads are a great “second chance” to land potential patients; special offers and discounts work especially well here. Dental SEO Marketing is a full-service internet marketing agency that helps dentists, orthodontists, periodontists, endodontists, pediatric dentists and oral surgeons grow their practice through custom dental websites, professionally designed logos, PPC, search engine optimization and more.